The political and strategic significance of Iran’s involvement in the Syrian civil war is all too evident. Even by the most conservative assessments, it is not easy to deny the fact that Iranian support for the Assad regime has been a key guarantor of its survival. Some analysts even have gone so far as to claim that the Syrian government owes its survival to Tehran. Helping sustain the rule of the Assad regime as Tehran’s sole strategic ally in the Middle East, however, has cost the Islamic Republic dearly. Comparisons have been invoked to the ultimately catastrophic US campaign in Vietnam, as a metaphor for how Iran’s intervention in Syria may finallyfare. Given these high costs and stakes, Iranian leaders have resorted to two main discourses or narratives to legitimise their involvement in the Syrian civil war – which incidentally represents the Islamic Republic’s first systematic intervention in a foreign country since its birth in 1979. The first narrative revolves around the religious ideology of Shiism and is captured by the originally Persian phrase “defense of the shrine” while the second one has primarily secular underpinnings and concerns Iran’s “national security” or defence of the nation. Despite its manifold pragmatist tendencies and realist practices, it goes without saying that the Islamic Republic of Iran (IRI) is a fundamentally religious regime and follows an Islamic ideology undergirded by the concept “Velayat-e Faqih” or “Guardianship of the Jurist”. Derived from the teachings of Twelver-Imam Shia Islam, the concept at its core suggests that in the absence of the Prophet or a flawless imam to guide the Muslim Ummah (community), the divine duty of governance falls on the shoulders of a qualified jurist, who is now considered to be Ayatollah Seyyed Ali Khamenei, Iran’s supreme leader. 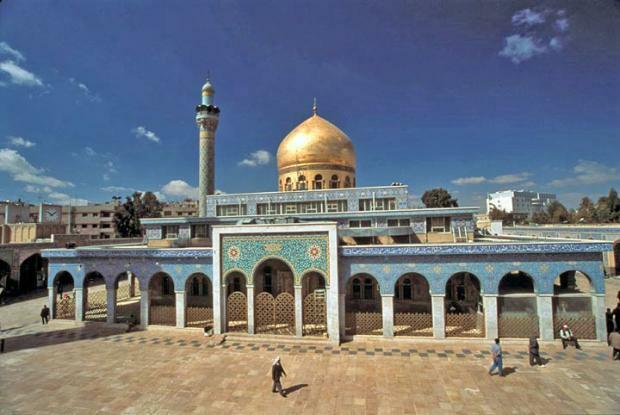 With this in mind, it is evident why Tehran attaches so much importance to Shia holy sites in Iraq and Syria, including the Sayyida Zeinab Mosque in Damascus. Such a discourse resounds well with certain religious constituencies in Iranian society and beyond, portraying the Islamic Republic as the main defender of their faith and values. Pertinently, those who lose their lives for the cause, either by fighting against the Islamic State (IS) in Iraq or propping up the Assad regime in Syria, are officially labelled and treated as “martyrs” in Iran. According to Mohammad Ali Shahidi, the head of Iran’s Martyr Foundation, over the past six years since the outbreak of the Syrian war in early 2011, at least 2,100 “shrine defenders” have been killed. The figure also includes Tehran-organised pro-Assad fighters of other nationalities such as Afghans and Pakistanis. Finally, as the foremost Shia powerhouse in the Middle East, the Islamic Republic has, since its inception, been utilising this religious discourse to project soft power in the Muslim world and further its realpolitik interests in the region and elsewhere. To vindicate Tehran’s heavy-handed and costly engagement in Syria, Iranian officials have also repeatedly invoked the general notion that “if we don’t fight in Syria, we will have to fight inside Iran”. 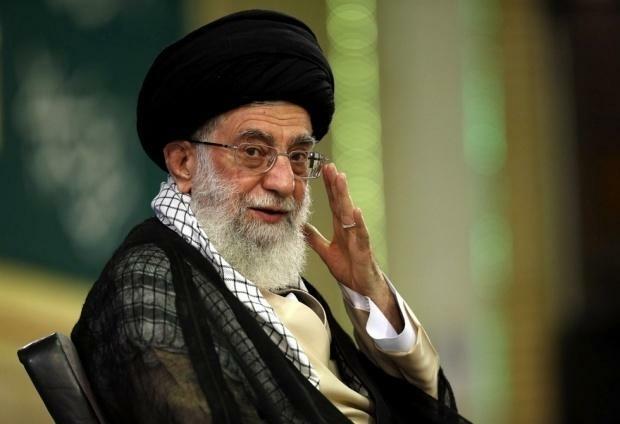 As Ayatollah Khamenei emphasised during a January 2017 meeting with the families of the regular army soldiers killed in the battle, “if the ill-wishers and seditionists…were not stopped [in Syria], we would have to thwart them in Tehran, Fars [province], Khorasan [province], and Isfahan. These [martyrs] grounded the enemy”. Other senior officials such as Qassem Soleimani, the commander of IRGC’s elite Quds Force, and Ali Shamkhani, former defence minister and current secretary of the Supreme National Security Council of Iran, have reiterated the explanation on numerous occasions. Put more simply, what this narrative seeks to convey to the public is that Iran’s Syria campaign is critical to the protection of its national security and prevention of terrorist attacks and activities at home. Mainly intended for domestic consumption, however, such a claim is inherently fallacious. Indeed, it makes sense to keep the terrorist threat at bay and as far from territorial borders as possible, but this is not the Islamic Republic’s principal problem despite its pretensions to the contrary. After all, if Tehran were primarily anxious about prevention of terrorism in the homeland, it would naturally commit more resources to Iraq, which is adjacent to its territory, rather than to Syria, that lies further afield, but is where the majority of Iran-affiliated fighters have been killed. Even Pakistan and Afghanistan, Iran’s frequently unstable neighbours to the east, may be greater sources of menace than Syria as far as terrorism is concerned as a result of their geographical contiguity. Moreover, if Iranian leaders were genuinely worried about terrorist threats, they would refrain from pursuing policies that generate and foster terrorism in the first place, such as sustained support for the former Iraqi Prime Minister Nouri al-Maliki, whose extremely sectarian manner of governance played a significant role in the rise of IS. Even in Syria, one of the most effective and successful strategies that Tehran employed in the earlier phases of the civil war was the radicalisation of the opposition with the purpose of transforming the conflict from a fight between the Assad regime and “rebels” or “revolutionaries” into one between the Assad regime and “extremists” or “terrorists”. The consequent realities on the ground ultimately persuaded parts of the international community to rally behind Assad, namely the lesser of two evils. The fact of the matter is that Iran’s Syria involvement has much less to do with nipping terrorism in the bud than maintaining its “strategic depth” in the region in general and towards Israel in particular. Such an objective would hardly be plausible without keeping Syria in the “axis of resistance” and thereby preserving uninterrupted supply lines and channels of communication with Hezbollah in Lebanon, Tehran’s arch-proxy in the Middle East. For the Islamic Republic, this is a seminal part of its “asymmetric deterrence” against external aggression. But the problem with the “strategic depth” or Hezbollah-related explanation is that it is not as popular and acceptable to Iranian public opinion as “counter-terrorism” is. More specifically, it does not go down well with those parts of the society that have secular and nationalistic rather than religious and communitarian leanings. 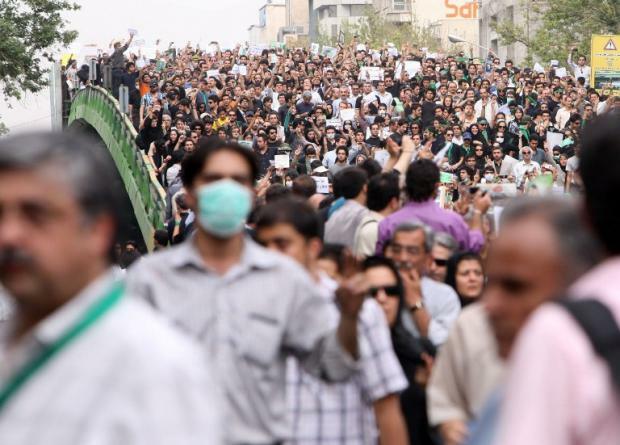 Notably, one of the key slogans of demonstrators during the post-2009 election protests in Tehran was “neither Gaza, nor Lebanon, I give my life for Iran”. In point of fact, to rationalise their Syria war effort, Iranian leaders are resorting to what is usually described as “securitisation” in political science, namely the use of “extraordinary” measures – such as costly military intervention in a foreign country – in the name of homeland security, measures that otherwise do not belong in the sphere of “ordinary” politics. – Maysam Behravesh is a PhD Candidate in the Department of Political Science and a Research Fellow in the Center for Middle Eastern Studies (CMES), Lund University. He was a senior editor of the Wiley-published journal Asian Politics & Policy and editorial assistant of the Sage-published quarterly Cooperation and Conflict. Maysam is also a regular contributor to Persian-language media outlets including BBC Persian. Next articleCan Iran’s conservatives agree on candidate for upcoming vote?